When steams of water are shooting out from people’s water pipes, they get confused and do not know what to do. The first inclination is to call the plumber and that would be the right decision. At OrangeCountry Plumbing Heating & Air Conditioning our plumbers will detect the problem, offering plumbing solutions and preventing future pipe leaks at your home. The most wide-spread and treacherous copper pipe leaks are pinhole leaks. They got this name because the leak that they produce is a size of a pin hole and hard to see with the naked eye. A number of factors including water pressure in the pipes, inside corrosion of the copper pipes and poor initial plumbing cause these types of leaks. The problem also affects the water mains because such points are known for great water pressure. The pressure builds up in the water mains and erodes the pipe from the inside as a result. Tiny holes that are produced discharge steams of water in the house. The check-up is needed to determine if you are the one responsible or the municipality service is the one to blame. Our experts from OrangeCountry Plumbing Heating & Air Conditioning are able to check your pipes for leaks and determine the cause of the problem. To avoid problems with the pinhole leaks at your home, ensure proper water system installation in the very beginning as well as proper care and maintenance following it. Even though it is impossible to control the level of chemicals and the pressure that comes with municipality water, it is possible to determine the position of the pinhole leak before it occurs. Since most pinhole leaks occur in elbow joints and coupling of the water pipes, Epoxy pipe lining might be needed. For that reason you will require a professional consultation. 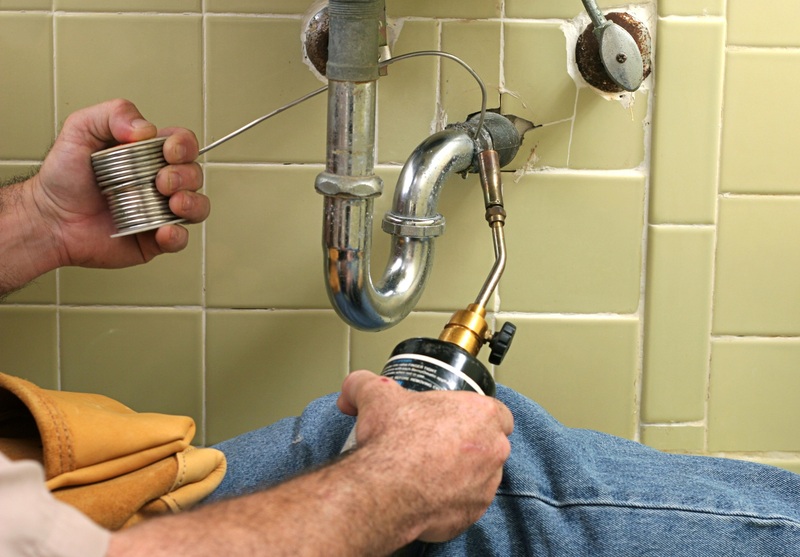 At OrangeCountry Plumbing Heating & Air Conditioning we have experts and tools that guarantee the repair of elbow joints in such a way that is able to withstand the pressure and resist corrosion. Contact our specialists today.